2012 Family Time Fitness Giveaway! Hi everyone! I know several of you ask what I do for physical fitness in our homeschool, and for the last couple years we’ve used Family Time Fitness! The lessons are super easy, no weird or unusual equipment is required, and the kids love them! Most of you know that I did a review and giveaway for Family Time Fitness last year, you can read it here. Since we are having so much fun with this program, I wanted to do another giveaway for you! They are always very generous with giveaways for you all, and this time they’re offering four Homeschool Platinum Fitness Packages! Family Time Fitness provides lesson plans for daily use, however we typically do it 2-3 times per week time allowing. I really love their focus on physical education, and even get reminder emails sent to my inbox to encourage me to do the lessons! 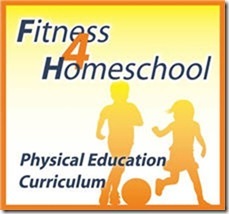 The Homeschool Platinum Fitness Package includes the above Core 1 Physical Education program, all of the K-5 workbooks, Fundamentals of Basketball Sports Module, and a Free one year subscription to the Home Educating Family magazine! That’s a retail value of $249! 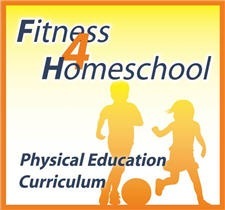 Family Time Fitness is offering a Homeschool Platinum Fitness Package to 4 of my readers! Enter using the Rafflecopter below! I’m really wanting to keep our family in shape and do it in a fun way! I like that there IS a curriculum that stresses the importance of eating healthy and exercising. I think my kids need to “hear” that from some place other than me 🙂 Also, I keep meaning to incorporate exercising into our homeschool, but I never do it. This curriculum would help me get over the hump.